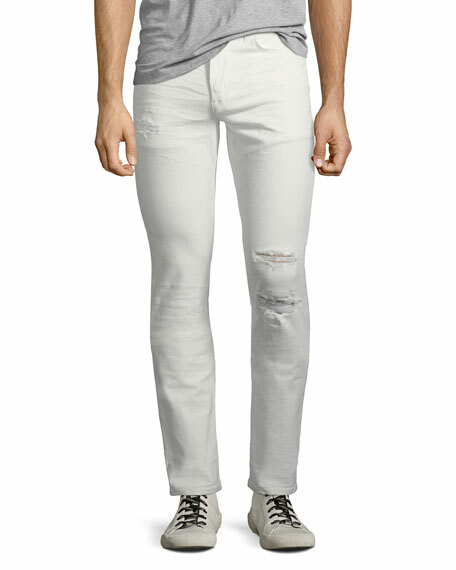 Hudson "Blake" jeans in distressed stretch-denim. Five-pocket style; signature stitching on back pockets. 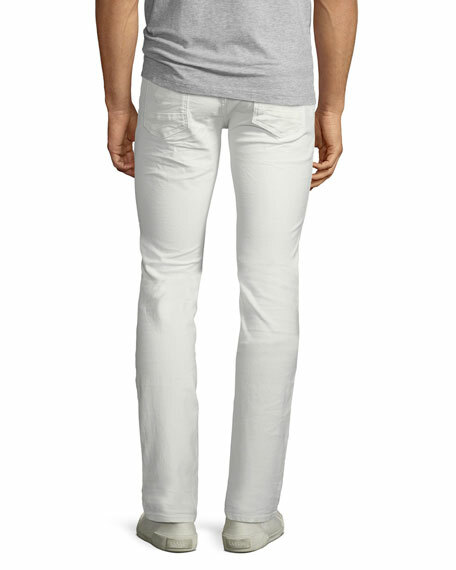 AG "Tellis" jeans in in the 17 years pottery wash, aged to mimic 17-year-old denim. Approx. 34" inseam. Five-pocket style; signature stitching on back pockets. Slim, straight legs. Button/zip fly; belt loops. Cotton. Made in USA of Japanese material. 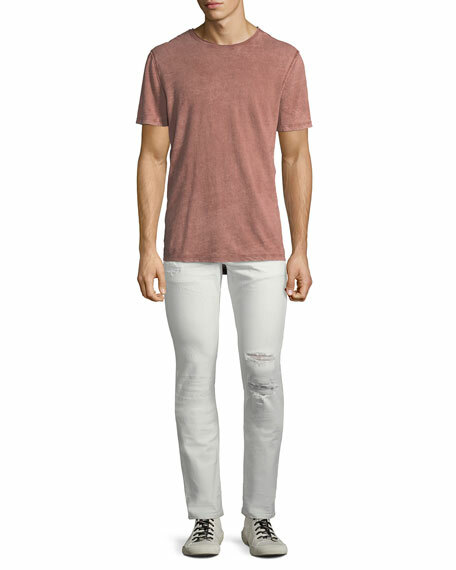 Model's measurements: Height 6'1"/185cm, waist 32"/81cm, typically wears size M.
Diesel "Sleenker" fit jeans in faded, distressed stretch denim. Approx. measurements: 32" inseam; 10" leg opening. Five-pocket style; V stitching on back pockets. Skinny, narrow fit from knee to ankle. Button/zip fly; belt loops. Cotton/spandex. Machine wash. Made in Italy. Hudson "Blake" jeans in black-wash denim. Approx. measurements: 10" front rise; 34" inseam; 14.5" leg opening. Five-pocket style. Slim fit; straight legs. Button/zip fly; belt loops. Cotton/polyester/spandex. Machine wash. Imported. Model's measurements: Height 6'1"/185cm, waist 32"/81cm, typically wears size M.